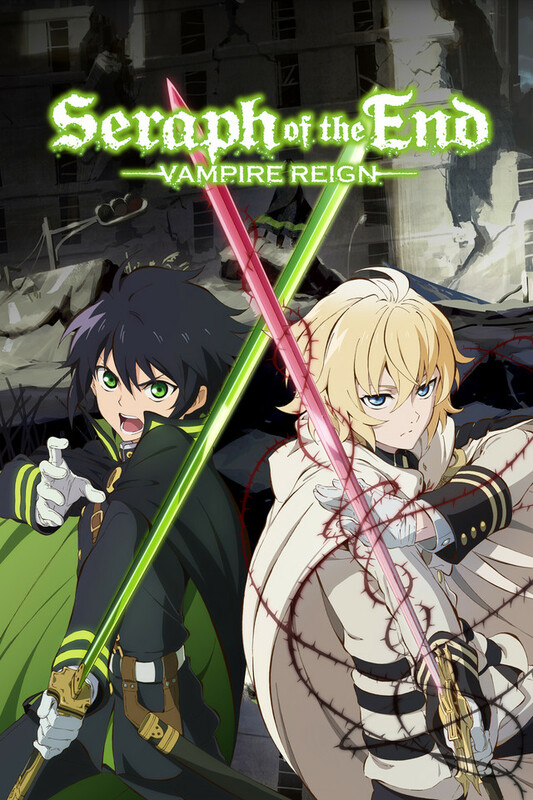 I re-watched It, and still get's me hooked up on watching It everyday without switching or watching other anime when It's not done watching the season but the down part is I want season 2 to be announce so I'll be exited when It comes out. This series is amazing. Vampires taking over the world with the last resistance seeking out demons to fight back. Bloody and beautiful. Please upload season 2 and season 3 if its out soon. I can't justify spending $60 for half a season at movie retail stores. Good anime for people to watch. Takes action, vampire, and more better! I have been in Seraph hell since October 31, 2015. I thought this was the greatest anime ever. Until I read the manga and the Catastrophe at 16 light novels then watched the anime again. I noticed the faults of the anime by the off source endings for Season 1 and Season 2, bad characterization as well as not giving the art what it deserves. I expect more from Wit Studio and with such a high reputation for good animation the quality should be better. But they weren't lackluster with the casting choices, hand painted backgrounds, and edgy soundtrack. I don't want people to be turned off by the source material because of the faults from the anime. I highly recommend picking up the original source material. This Anime is the best I've watched so far this year! This was my first time ever watching this anime... All I can say is this I was hooked from the first episode & have completed it in 2 days lol! The brutality yet heart warming situations that happen in the first episode absolutely hooked my interest. I would recommend everyone who likes fighting, friendship, lose & love to watch this epic anime. It is definitively more on the Brutal side (which I personally like) but do be warmed if you don't like slightly gory or horrific death than this anime is not for you. An anime that leaves you with more questions than answers. Just when you think you have the next part of the anime figured out, this series just surprises again and again. In the second half of this season, when ya watch an episode, you just gotta watch another. Da** its hard writing a good review. Really worth it, I stayed for the characters and story! It's amazing. If you're going to binge it, the pacing is really good.Almost feels like you're watching a movie because there's always something important going on in each episode. Characters are complicated and very likable. Overall, it's fun and it's not talked about enough!